If you are attempting to sell your home than you obviously need to attract as many interested home buyers as possible. I can assure you that price is always an issue for home buyers. 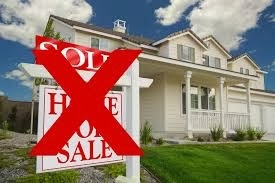 That doesn’t mean that an expensive home won’t sell, it means that an overpriced home won’t sell. Consumers today are savvy and real estate seekers are no exception. Rest assured that anyone that’s in the market today to buy a home is comparing prices of many homes in the same area and will soon gain an understanding of what a reasonable price is as compared to one that is inflated. Many sellers feel that if they inflate the price in the beginning that they will end up with an offer that is closer to what they actually hope to get for the home. Others may feel that maybe, just maybe they will actually get a better price than perhaps what the home is truly worth as compared to similar homes for sale in the immediate area. Both of these strategies are a BIG mistake for home sellers and these are the reasons why. This is the reality of real estate. Even if a home buyer is interested in making you an offer if the price is unreasonable there’s a good chance that they won’t even bother to negotiate. Why? Simply because an interested buyer will assume that offering too much below the listing price is a waste of time and that the seller won’t even take the offer seriously. Would you bid $230K on a home that is listed for $300K even though it seems overpriced compared to similar homes in the area? Of course you wouldn’t, you would continue to look at other homes within your price range. Tenure is Good for College Professors but Bad for Real Estate! If the average home in a given area is selling within about 6 months but your home has been listed for 12 you’ve got a problem. Home buyers will get the impression that something is “wrong” and they will be correct. An overpriced home tends to stay on the market much longer than other homes and this can eventually lead to some very low offers, quite the opposite of why the seller overpriced the home in the first place. Perspective buyers will feel comfortable to make a low offer because they might assume that the seller is becoming desperate and might be willing to “settle” for a low price just to sell the home. As home seekers continue to see your property advertised over and over again they might form the wrong impression of your home. After all, if it’s a fair deal why has it been on the market for so long and why has it still not sold? In other words they may wonder “What’s wrong with it”? As you already know, that’s not a good way to sell your home. Eventually the owner of an overpriced home will be forced to reduce the asking price in order to gain more interested and serious buyers. It’s either that or hope that someone will be willing to pay the higher price or at least make a reasonable offer. The odds of either one of these things occurring after an overpriced home has been on the market for a while is close to zero. The end result will be that the price will need to be lowered in order to sell the home. If this had been done from the beginning a lot of time and wasted energy could have been saved and the home may even have been sold by now. Now that the home has been reduced in price the crisis may still not be over. Now that your asking price is comparable to similar homes in the same area it is still possible to receive some very low offers from interested buyers. As mentioned above, may people will see a considerable price reduction as a sign of desperation and may try to capitalize on it. Sometimes the homeowner may actually need to take a lower offer than expected if they find themselves in this situation. It all began with overpricing the home in the beginning. Hopefully, after having read this article you will better understand why overpricing is a very bad strategy when attempting to sell your home. It can possibly lead to accepting less than what the home is worth or possibly not being able to sell it at all. If you are ready to place your home on the market be sure to use a reputable and knowledgeable real estate agent. He/She can help you to determine a fair asking price for your home and avoid the downward spiral of over pricing. Please believe me; you don’t want to go there.